Life is unpredictable! At least on this side of heaven! Two days ago, a car rolled across the street and crashed into my neighbor’s fence. Nobody saw that coming, and thankfully, no child was playing on that sidewalk. Eleven years ago, my husband was struck down by a car while standing on the sidewalk in downtown Nashville, the only ten minutes of the day he went outside. These things are unsettling, but we can also use them as reminders to live our best day, moment by moment, even when they slap us back to the reality of how fragile and vulnerable we are to outside forces. There is, however, something we can do to cushion the crashes. We can get into the kitchen and make good food. We can cook! If you’ve ever sat around a table eating food that makes you dance with each bite, or if you often sing with food in your mouth, while biting into something so tasty, you can’t wait to swallow just to take another bite, you know what I’m talking about. Good food is a blessing. This is a sampling of the food we ate in 2012, and the food you googled most often. You can see a mix of sweet treats, and lots of healthy, hearty, farm to table type dishes. It’s the way we eat. This is food that will made us dance, and outside of a few food press tours, where I happily gained weight, I never gained a pound from the food that came out of my own kitchen. I could preach volumes on that. I look at these photos and I have happy food memories. I know what I was doing that day. Some of them trigger conversations, or laughter in the kitchen. I hope you enjoy a second time around. 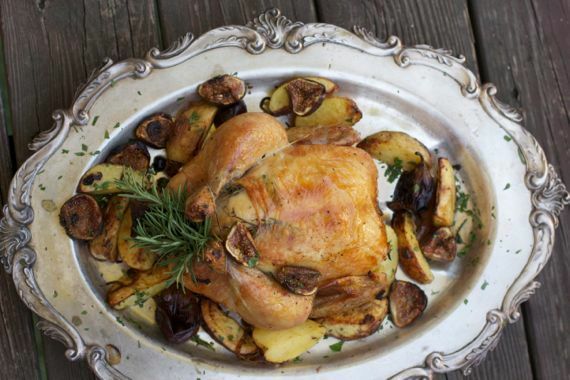 Roast Chicken with Figs Universally, people love figs and they love roast chicken. Voila. 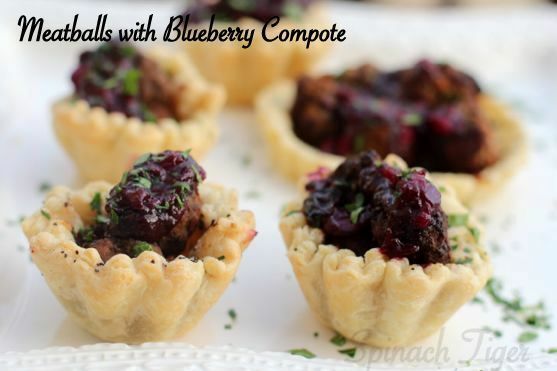 Italian meatballs in homemade pastry shell with a savory shallot, pear blueberry compote. This is so tasty. You can freeze all three components separately and be ready for a party. 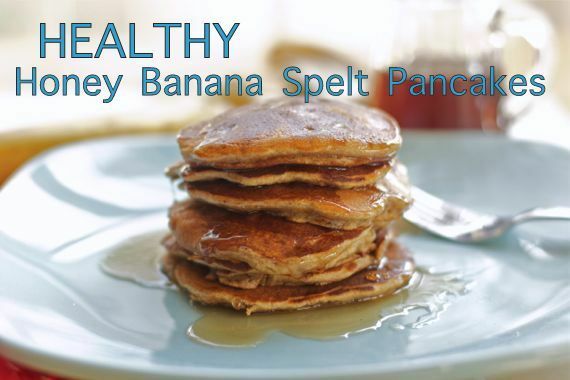 Healthy Honey Banana Spelt Pancakes People search this recipe out and it was made on a happy whim. 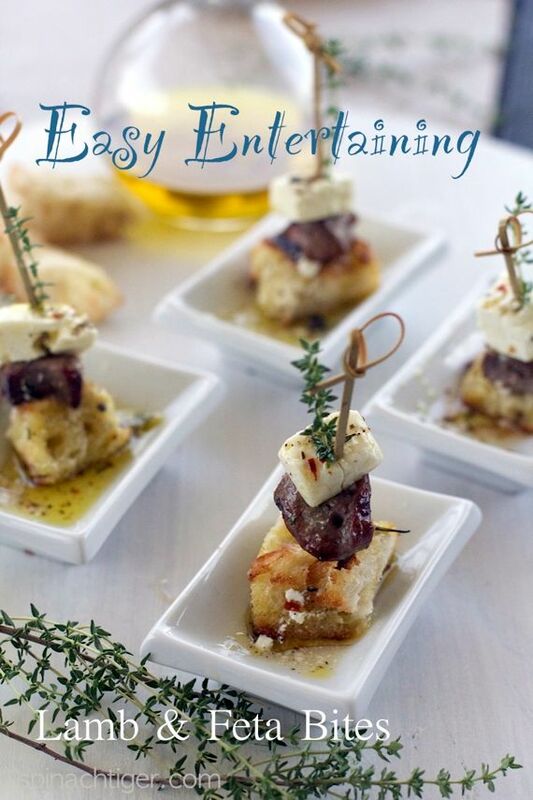 Lamb Feta Party Bites This was made for a Greek Meze cooking challenge and it’s still in my top three favorite appetizers. Four Cheese Sweet Potato Lasagna. I’ve made this several times. It’s in my husband’s all time top three. Hand Pies were all the rage in our house and still the most requested dessert. 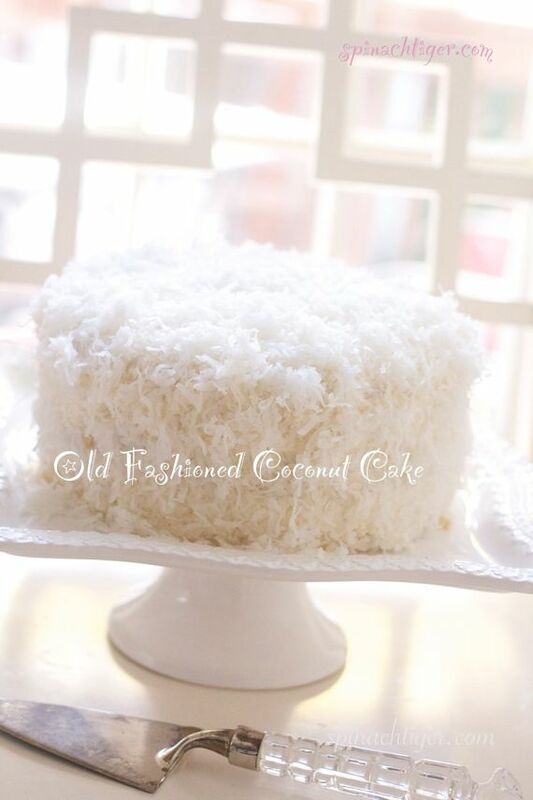 Old Fashioned Coconut Cake This is a Southern favorite and by the stats a favorite of my fans. 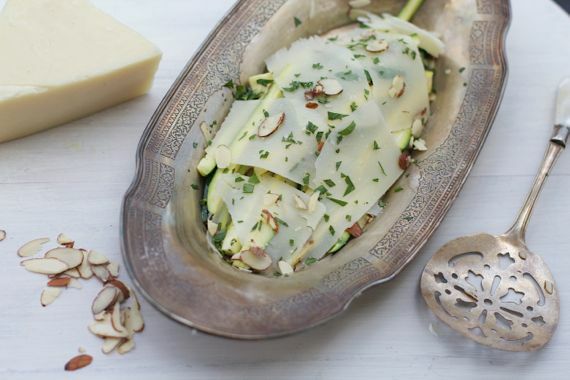 Roasted Zucchini with Pecorino This was inspired from a restaurant on a food tour. Fabulous. Easy. 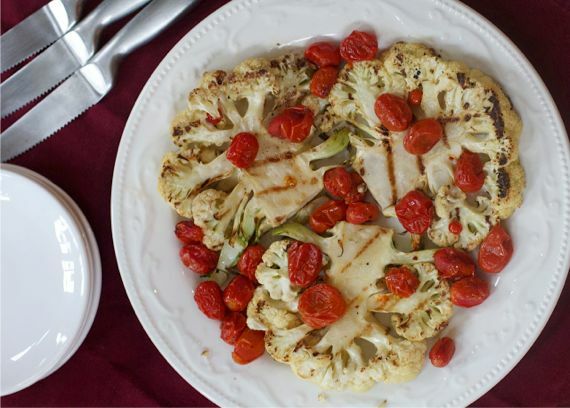 Grilled Cauliflower Steak Until you try this, you can’t understand how genius this recipe is. 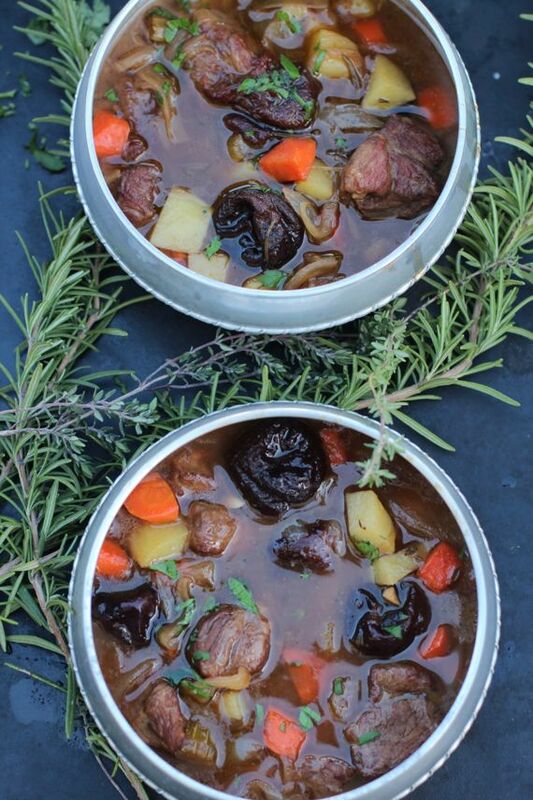 Hunger Games Lamb Stew with Dried Plums. Katniss ate this stew in all three books. I had to create a recipe, which won judge’s best in Hunger Games contest. After thousands of visitors, it still remains a fan favorite and I think it’s a recipe that does the book justice. 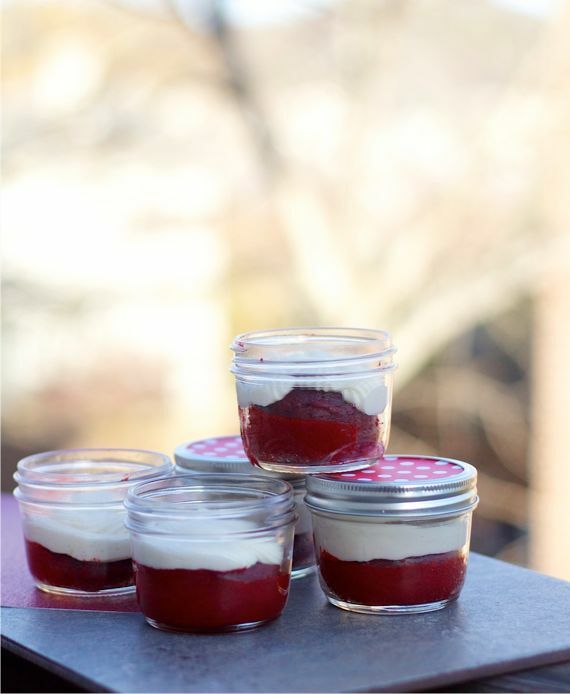 Red Velvet Cake in a Jar This has solved so many red velvet problems. These go into the freezer in jars and then when the red velvet urge hits, they are waiting. Yes, this was the year I learned to freeze food in mason jars. Blackberry Cupcakes made with my number one most visited post of the year: Two Ways to Make Cream Cheese Frosting. My personal favorite of the year doesn’t get a lot of clicks and I have never been able to capture how great it is on camera. If you love seared tuna, and zesty flavors like capers, olives and red chili flakes, make this dish. I start the new year with only one resolution. I wish to make as many Hallmark moments as I can by living with the intention of being a force for good, and bringing happiness. Staying busy in my kitchen is part of that plan. I know I’ll try a lot of new Nashville restaurants, hopefully a few far away places and then put my own approachable spin on them in my kitchen for you. I want to thank you my readers. I’m humbled that you come here. You number in the hundreds of thousands and you represent over 170 countries. Most of you get here by searching for simple, approachable, honest food. You crave a good pot roast, homemade bread and biscuits, and you love pies, cakes and tarts. I’m so happy to connect with you. Every visit, every email, every comment is important to me. Happy New Year and may you dance while you eat! I’m a writer and a foodie who was turned on to your site by a friend from Nashville who sent me the link. I’m so grateful to her for the tip and to you for the yumptious recipes and brilliant photographs to back them up. I want to dig my fork, knife, and spoon right into the pages! Best of luck for a bright future. Happy New Year, Angela! Your top posts all look fantastic! 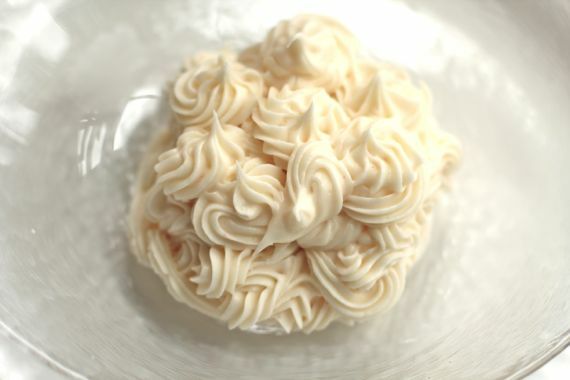 I totally believe that the cream cheese frosting is number 1. 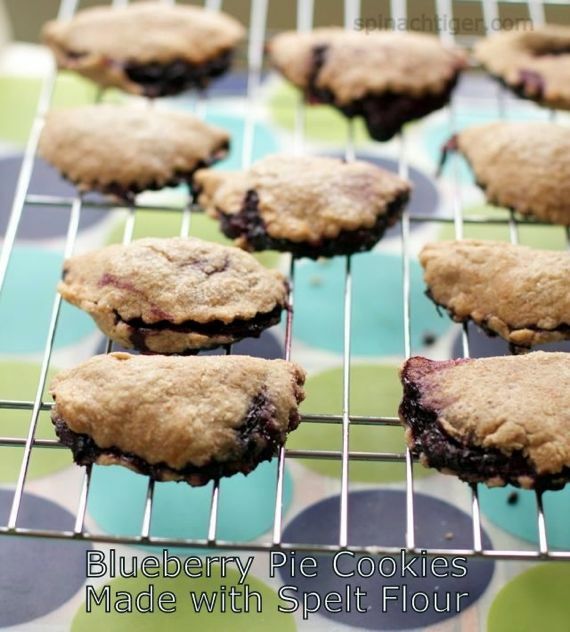 My most popular posts are all baking ones. People love their sweets!! You had a delicious and fantastic 2012! That snow white coconut cake looks amazing! Good food IS a blessing, and your offerings this year were wonderful! You can definitely be a force for good from your kitchen. 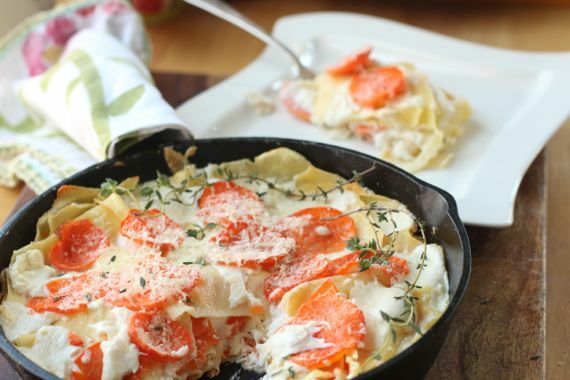 That sweet potato cheese lasagna is amazing. Looking forward to seeing your creations in 2013 – happy new year Angela! I remember all these meals fondly and the sentiment you expressed between photos is meaningful. Angela, wonderful post. I so enjoyed seeing all your great recipes and photos again. Reminds me of a few I need to make here in my kitchen from your posts. Your blog is a joy and it gives me pleasure throughout the year. Keep doing what you are doing as you do it so well. Best to you and yours. Happy new year right back. Your words are kind. This is a great roundup. Happy new year! It’s true that food can help to make a tough situation seem better. And your food is certainly something I’d want to have around on a tough day! This post reads like a wonderful cookbook with beautiful and original recipes. Happy New Year. All the best in 2013! 2012 was definitely a good year Angela, it can only get better! !